Tis the season for sniffles, allergies and colds! WOOHOOO! Actually I am not excited for sickness, for me or anyone of you, but IF it happens, I have the soup for you! This happy accident (long ago) soup is delicious. I am a soup fanatic, and personally can NOT have to many soup recipes on hand. Soup is always my first choice, year round actually. I hope you enjoy this one as much as I do! Shouldn't be to hard to remember the recipe, eh?! In a large pot, add in olive oil and ground chicken. Cook chicken until it is halfway done and then add in carrots, celery, bell pepper, green beans, frozen peas and corn. Stir until completely combined, then add in garlic and let cook for a couple of minutes stirring constantly. Now add in the tomatoes, onion, parsley, Italian seasoning, and chicken stock. I use low sodium chicken stock so I add in 1 tsp salt to start, you may need more, I did. Also add in pepper. Cover and simmer on medium for 20 minutes. 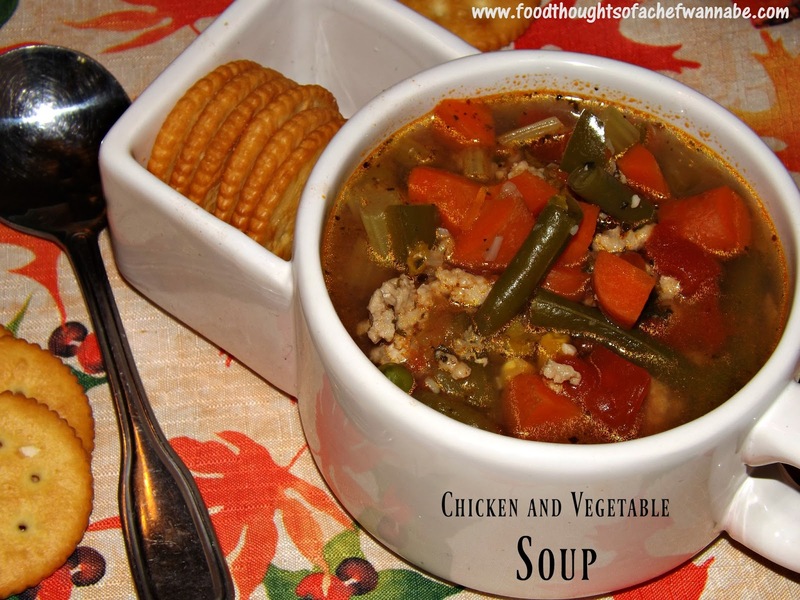 I think this soup is perfect for those sniffly days! Add in some red pepper flakes, or a little hot sauce and feel the nose run, and run, and run! It is perfect for healthy eaters and full of vitamin goodness! I make this soup and keep it in the fridge, and eat on it for lunches or a snack. Why not? !